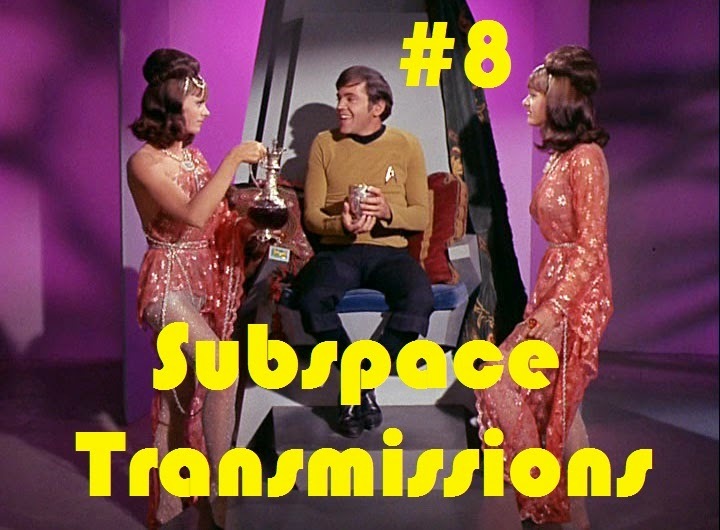 Subspace Transmissions: A Star Trek Podcast: EPISODE 8 - "PROMOTE THEM! DEMOTE THEM!" In this "What If..."-tastic installment hosts Cam Smith, Benjamin Yong and Tyler Orton dive headlong into every single series in the franchise in order to determine which guest stars deserved to be promoted to full time duty, and who among the main casts deserved demotion to the Jeffries tubes. Expect plenty of odd and controversial choices, as well as lofty praise for the DS9 character least likely to receive lofty praise. Wanna appear on the show? Shoot us a 30 to 60-second audio clip letting us know Who You'd Promote and/or Who You'd Demote and you could take the spotlight in an upcoming program! You can also send any other questions, topic ideas or feedback to subspacetransmissionspod@gmail.com! Make sure to visit our friends at the Sci-Fi Movie Podcast!